This paper describes an approach to implicit Non-Rigid Structure-from-Motion based on the low-rank shape model. The main contributions are the use of an implicit model, of matching tensors, a rank estimation procedure, and the theory and implementation of two smoothness priors. Contrarily to most previous methods, the proposed method is fully automatic: it handles a substantial amount of missing data as well as outlier contaminated data, and it automatically estimates the degree of deformation. A major problem in many previous methods is that they generalize badly. Although the estimated model fits the visible training data well, it often predicts the missing data badly. To improve generalization a temporal smoothness prior and a surface shape prior are developed. The temporal smoothness prior constrains the camera trajectory and the configuration weights to behave smoothly. The surface shape prior constrains consistently close image point tracks to have similar implicit structure. We propose an algorithm for achieving a Maximum A Posteriori (map) solution and show experimentally that the map-solution generalizes far better than the prior-free Maximum Likelihood (ml) solution. 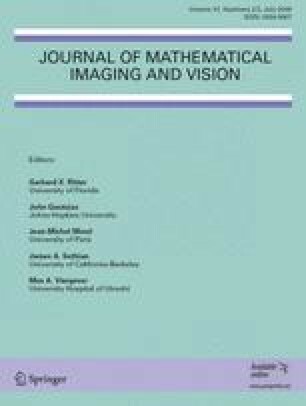 This paper combines and extends two conference papers; the first one appeared in the Workshop on Dynamical Vision held at ICCV’05 , and the second one appeared at the 2007 British Machine Vision Conference . This paper integrates the two publications into a comprehensive presentation of our approach to Non-Rigid Structure-from-Motion.